By default, vOneCloud authentication uses an internal user/password system with user and group information stored in an internal database. vOneCloud can pull users from a corporate Active Directory (or LDAP), all the needed components are enabled and just an extra configuration step is needed. As requirements, you will need an Active Directory server with support for simple user/password authentication, as well as a user with read permissions in the Active Directory user’s tree. You will need to access the Control Panel in order to configure the Active Directory support in vOneCloud. After the configuration is done, users that exist in Active Directory can begin using vOneCloud. User Active Directory user with read permissions in the user’s tree plus the domain. Click on the “Apply Settings” button when done. 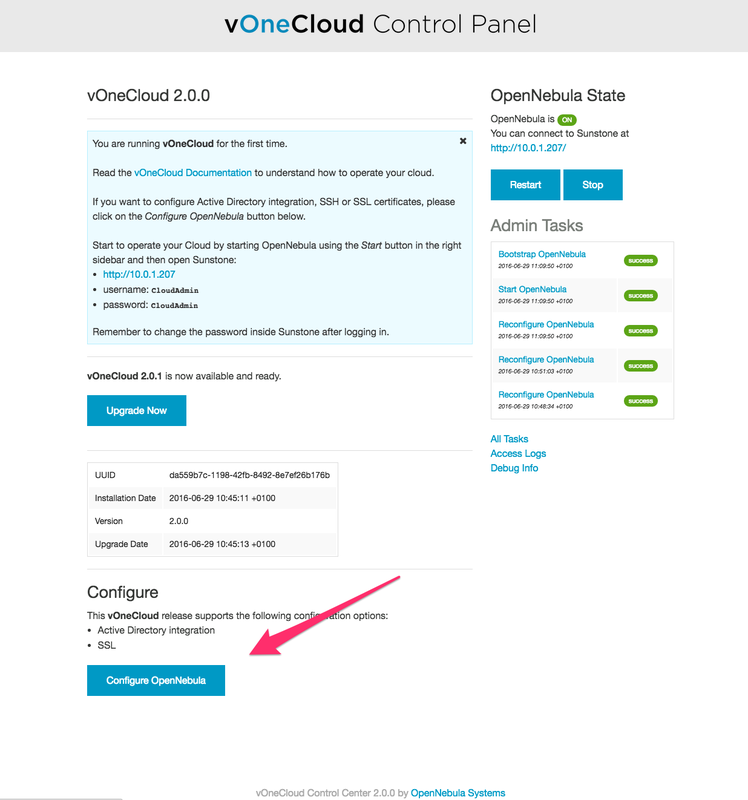 For changes to take effect, you need to restart vOneCloud services and wait for OpenNebula state to be ON. You can find more information on the integration with Active Directory in this guide.